The E3 expo has just started and Sony Ericsson has something to show the gamers - the Xperia PLAY Experience Pack. 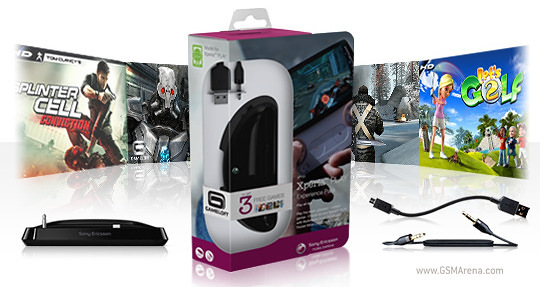 It contains the DK300 Multimedia Dock, USB and audio cables and code for 3 three Gameloft titles. The Experience Pack is compatible only with Sony Ericsson Xperia PLAY. It contains the previously announced DK300 multimedia dock, a portable short-length USB cable, a 3.5mm male-to-male audio cable so you can connect the dock with an audio system and a game code. There is no official information on the price and availability of the Experience Pack, but we guess it should be released shortly after the E3 expo on about 25 euro price.